The downgrade of Russia’s credit rating by S&P is unreasonable, as the agency didn’t consider the country’s anti-crisis plan, and the strong economy with its large reserves and extremely low public debt, said Russian Finance Minister Anton Siluanov. Siluanov says he does not think the move will lead to a sharp decline in the share of non-residents holding Russian bonds. "A very important aspect is that the rating of Russian obligations in the national currency is still at the BBB- investment grade. Therefore, there won’t be a sharp decline in the share of non-residents among the holders of Russian loan bonds," he said. On Monday the Standard & Poor’s international rating agency cut Russia’s sovereign rating to BB+, a ‘junk’ level, leaving it below investment grade for the first time in a decade. But Russia’s finance minister said the S&P decision didn’t take into account the anti-crisis plan that was approved Monday. The year-long anti-crisis strategy will put in place new structural reforms in order not to spend the reserves within 1-2 years. The government’s anti-crisis fund now stands at $2.6 billion (170 billion rubles). 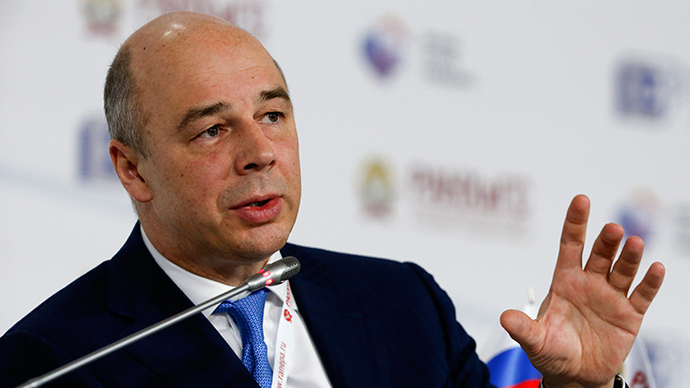 Finance Minister Siluanov said the rating agency's decision will not lead to serious consequences, adding that there are no formal grounds for foreign investors to withdraw from Russian assets, as the issuer’s investment rating should be downgraded by at least two agencies for such a move to be reasonable. "I believe the decision of the rating agency should not have a major impact on the further capital market, as the downside risks to Russian credit ratings have already been included into the prices of Russian assets by market participants," he said. The minister suggests S&P’s decision shows 'excessive pessimism,' as the agency doesn’t take into account the strengths of the Russian economy, such as its huge international reserves, including sovereign wealth funds, the current account surplus and low government debt. Siluanov particularly considers 'groundlessly negative' the agency’s outlook on the surplus of current account positions. The Russian Ministry of Finance together with other institutions will continue to talk with S&P and other rating agencies and provide them with macroeconomic data in order to improve the rating in the mid-term, said Siluanov. Western rating agencies have been criticized for their alleged biased attitude and groundless decisions. S&P’s decision and those of other US-based agencies are nothing but political, Paul Craig Roberts, former US Assistant Secretary of the Treasury told RT. Last week the US slapped a $77mn fine on S&P over fraud and banned it from assessing a segment of the commercial mortgage-backed securities market (CMBS) for a year because of ratings it issued in 2011 that regulators say were misleading.